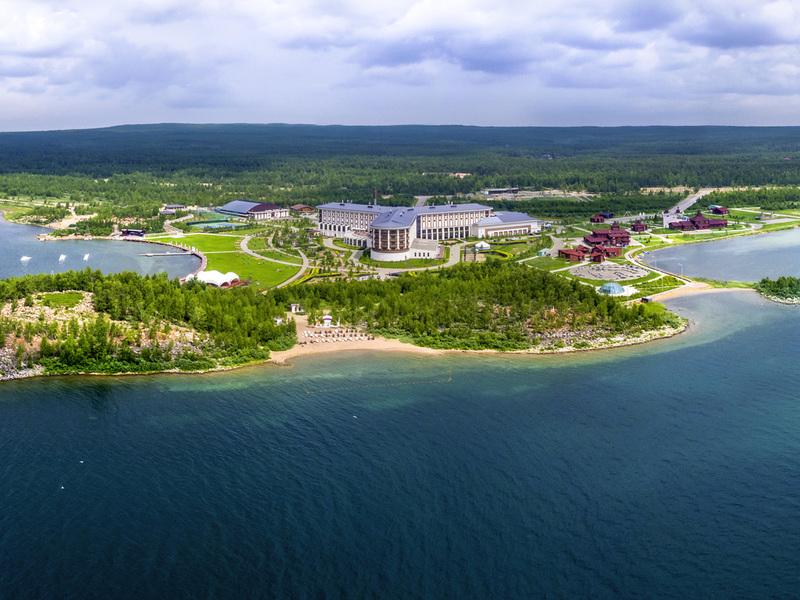 Experience the fairy tale world of Rixos Borovoe surrounded by a magnificent landscape of forests and mountains reflecting in Lake Shchuchye. Every single detail has been considered carefully for your convenience in our rooms and suites. You are invited t o savor the luxury of superior quality services in our restaurants, bars, SPA and meeting rooms. Feel the comfort and luxury at four different types of rooms and suites. The rooms with their breathtaking panoramic view, charm with a warm and elegant design as well as convenience. Cozy wooden houses for all the grilled dish gourmets. Wide range of exclusive grill-menu from the Chef, and à la homemade cuisine - a chance to cook favorite dishes by yourself. A'la carte Turkish cuisine restaurant. Raising traditional and modern recipes up to new standards. Feel the pulse of history with its traditional music and entrancing vibes. The restaurant is situated on the second floor opening onto terrace. The main hotel restaurant offers dishes of international cuisine with buffet service. Courses of Italian cuisine are available a'la carte. Enjoy true international flavor in the midst of wonderful garden overlooking the lake. Summer café is situated on the shore of Shchuchie lake. Cozy interior, international menu, grass area with children playground. In the daytime you can hide from the hot sun, in the night time you can admire wake-show at sunset. Kitted out with heaters, large comfy seating areas, sheepskin blankets and speakers blasting out funk, soul and jazz, these domes are the perfect place to unwind with a post-work cocktail and admire the lake view. The main menu presents international dishes and appetizers. Great choice of alcoholic and non alcoholic drinks. This is a perfect place for socializing, afternoon tea or a glass of your favorite wine accompanied by the sounds of live music. You can indulge yourself with healthy cocktails made of fresh vegetables and fruits as well as pick up the needed drink from detox menu in the Vitamin Bar which is situated in Anjana Wellness and Spa. Ultrafashionable Karaoke Bar with modern audio system and facilities gives joy to all the singing lovers. Large catalogue of songs, stylish interior, dainty menu will make your stay in Rixos Borovoe Hotel unforgettable. Perfect opportunity to indulge yourself with the glass of draft beer while watching the favourite sports programs. Wide range of grill menu and beer appetizers. How nice to hide in the chilly shade when it is hot and listen to deafly heard wash of waves. Dishes of international cuisine and great choice of seasonal cocktails will be perfect complement to summer vibes. Summer shisha bar with cozy summer houses in the scented garden is the perfect place for tea time. Shisha lovers appreciate assortment of tobacco grades and flavors. Escape the urban and routine rush and give yourself unforgettable nights in shisha bar.